Sri Lanka’s new Foreign Minister Mangala Samaraweera will discuss Sri Lanka – U.S. relations at a special briefing and reception on Thursday, February 12th from 6:30 – 7:30 pm at the National Press Club in Washington. Earlier in the day the Foreign Minister is scheduled to meet with Secretary of State John Kerry. Minister Samaraweera was appointed Minister of Foreign Affairs by President Maithripala Sirisena following the January 08 Presidential Election which ended the decade-long rule of his predecessor Mahinda Rajapaksa. Within the short time after the exit of Rajapaksa government the relations between the two countries have seen a significant improvement as affirmed by Assistant Secretary of State for South and Central Asian Affairs Nisha Biswal’s visit to the island earlier this week. The revival of the cordial relationship between the two countries that was fast deteriorating during the previous regime, is a result of the fruitful discussions the Prime Minister Ranil Wickremasinghe, as the opposition leader, had with the U.S. State Department officials including Biswal and former Ambassador to Colombo Michelle Sison. During his one-month stay in the U.S. last April, Wickremasinghe had met and held discussions on Sri Lanka’s political future with the senior officials at the State Department, and White House, and the members of the Senate and the House of Representatives. 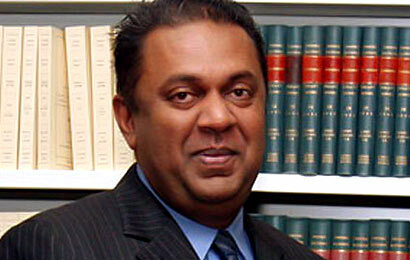 “We want to raise the relationship between our two countries to a new level of cordiality,” Samaraweera told Biswal during their meeting in Colombo on February 02. The Sri Lankan Minister is also scheduled to speak at the Carnegie Endowment of International Peace in Washington on Wednesday February 11, at 3:00 – 5:00 pm. At the event, Samaraweera will present the priorities of the new Sri Lankan government and discuss the challenges ahead as parliamentary elections approach.